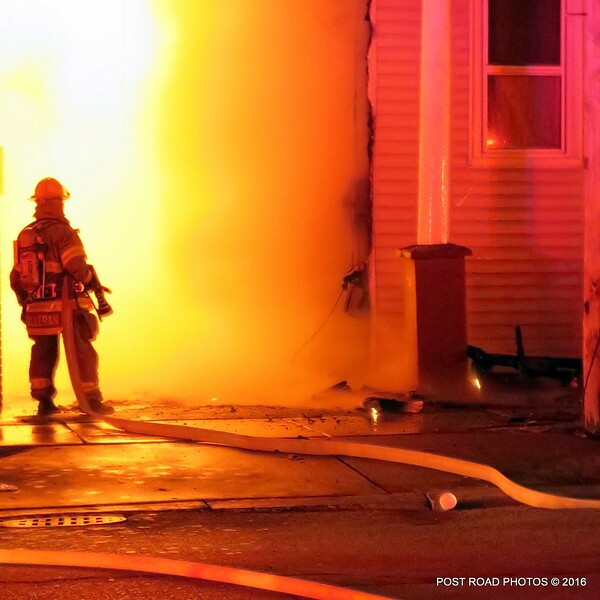 Binghamton, NY (WBNG Binghamton) One woman and seven children are safe after an early morning house fire Saturday. According to Binghamton Assistant Fire Chief Mark Whalen, crews were called to 162 Henry St. at 3:33 a.m. Saturday. Whalen told Action News the second floor and porch of the house were fully engulfed in flames when firefighters arrived. All occupants were able to get out of the building safely. "I'm surprised there were no fatalities," said Whalen. According to Whalen, one man suffered non life-threatening burns to his hands. He was treated at Wilson Hospital. Whalen said it took about 45 firefighters to fight the blaze, which spread to 160 Henry St. -- a vacant building behind the residence. Whalen told Action News both buildings are total losses. They were both more than 100 years old. The Red Cross is assisting the displaced family. Whalen said crews were on scene until 11 a.m. Saturday. Five Mile Point and Vestal Fire Departments assisted the Binghamton Fire Department at the scene.